Hey friends! We’re almost half way through November which means we are half way through our Bake Craft Sew DECORATE series! If you’re new or haven’t visited in a while, we will be having Christmas and Holiday decorating ideas here on Classy Clutter for the whole month of November! We will be teaming up with our blogging friends Cindy, Mique, and Leigh Anne! Cindy will be doing sewing ideas on SkiptomyLou, while Mique from Thirty Handmade Days, will be posting craft ideas, and Leigh Anne from Homebased Mom will be posting delicious edible gift recipes. We’re super excited about it so come back every day in November for another Holiday decorating idea!Hey everybody, I’m so excited to be visiting Classy Clutter today! I’m showing off my mantel that I just decorated for Christmas. This is the first house we’ve lived in that has a fireplace like this, so I’m having fun with it! The mantel isn’t very deep, so I can’t do very much layering. But a few big pieces need to fill up the space because the ceilings are high. I had this large canvas print print already, and wanted to cover it as the main part of my mantel decoration. 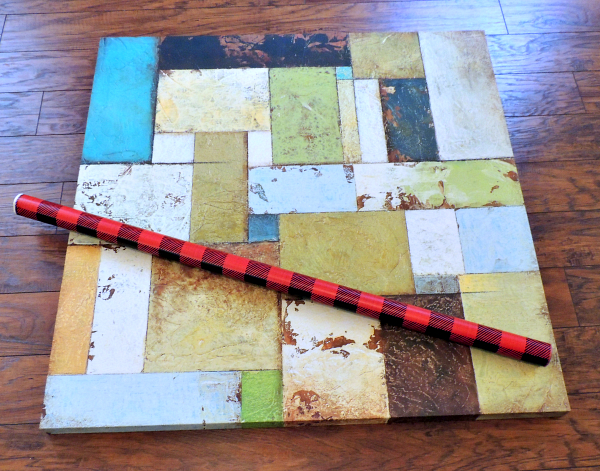 Enter, a roll of plaid wrapping paper from Target! I just wrapped up the front like a present and taped it around the back side. 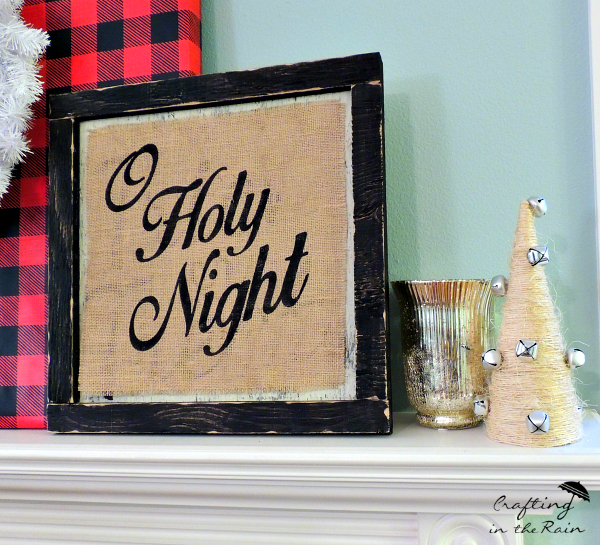 To attach the white wreath I used a thumbtack to stick the black fabric loop to the wood brace in the back of the canvas. Then I set it back up on the shelf. 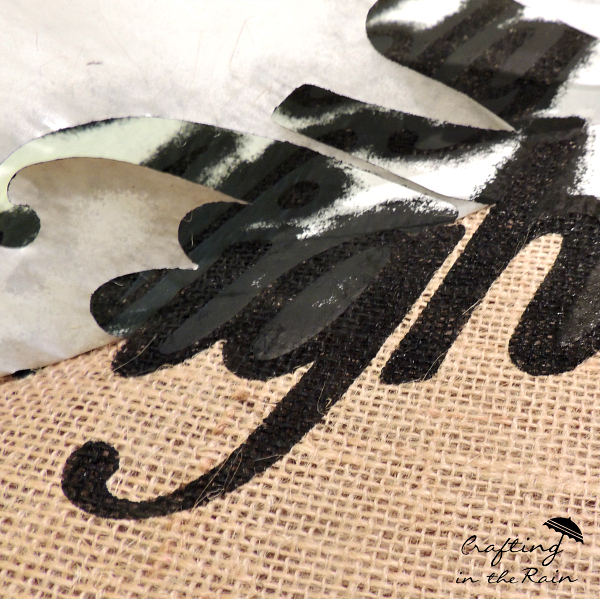 Use black paint and stencil brush to paint the sign. Peel up the freezer paper when it’s dry. To balance out the height of the plaid canvas, I put smaller items on both side of the mantel. 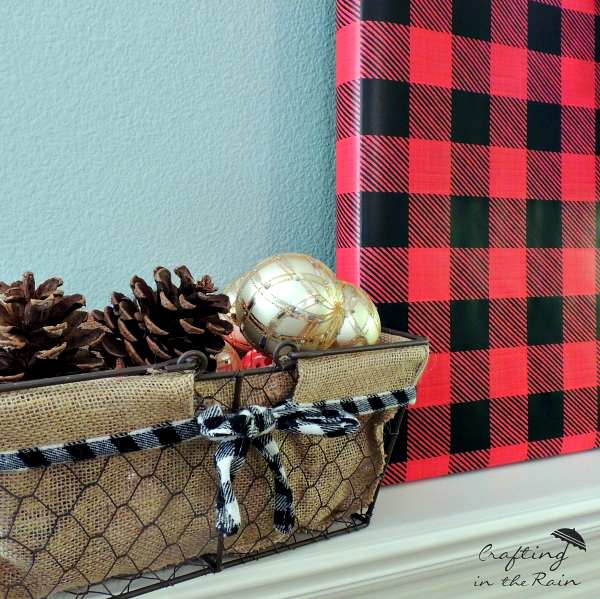 Here’s a metal basket filled with pinecones and gold ornaments. And the other side has a gold vase and twine-wrapped cone tree with jingle bells glued to it. 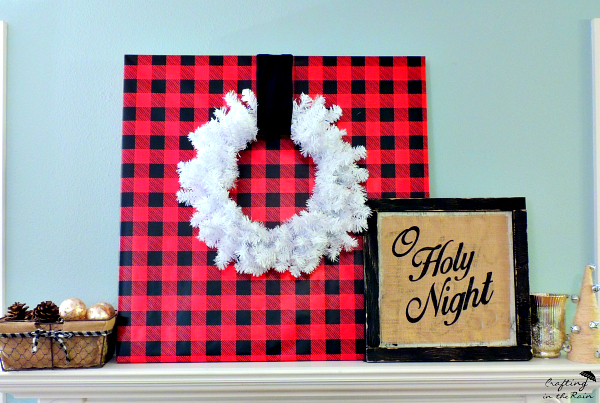 I hope you got some good ideas, and I’d love to hear if any plaid is showing up in your holiday decorating! Thanks so much for having me girls–you know I think you guys are so talented and I just love ya! 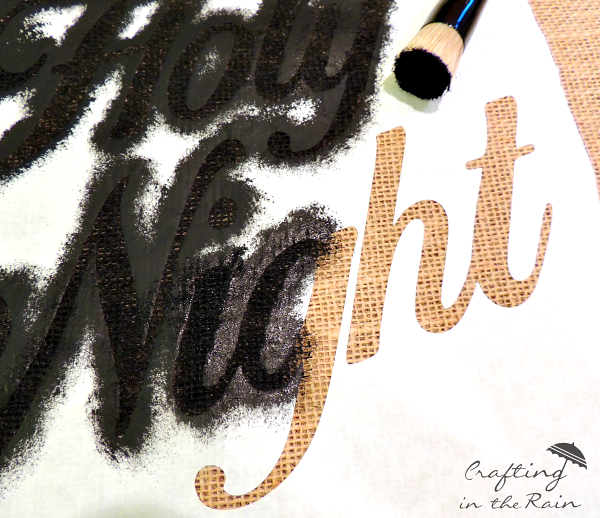 If anyone wants to keep up with what I’m doing, you can find my blog at Crafting in the Rain and my Instagram. See you around! Thanks Stephanie! Love the idea of using the wrapping paper!! SO clever and cute! Thanks so much for sharing and be sure to follow Stephanie on her blog, Crafting in the Rain, Pinterest, Facebook and Instagram! Hi. I tried and tried to view this post but the page keeps freezing. I got a popup a couple times telling me the was a problem running the sript on the page and to choose to stop it or debug it. This is likely coming from the ads and is very frustrating. Just thought you should know. I never did get a very good look at the post. Sad face. Very Nice! 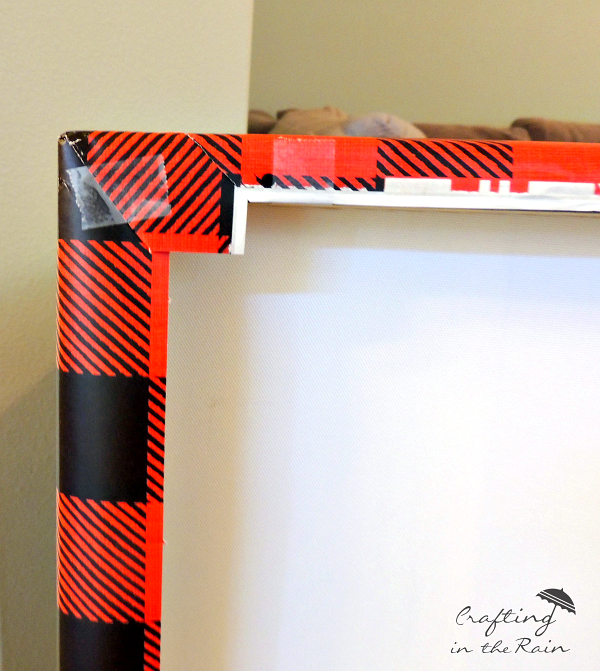 The wrapping paper is perfect to fill in larger spaces for impact.